Just installed a new Graptec FC-8600-75. I'm having issues setting the conditions. First attempt the plotter was set up via LAN. 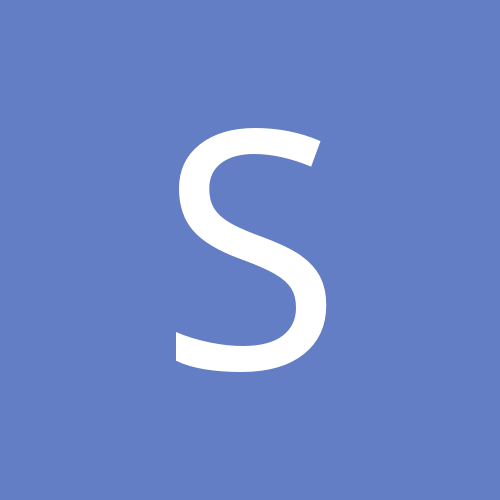 When setting condition priority to manual, and selecting cond. 4. the plotter will automatically reset the cond. 8 when the plot starts. 2nd attempt, used program condition priority with the same result. 3rd uninstalled everything, set the plotter up USB. Now it will reset the condition to cond.1 regardless it the priority is set to program or manual. It will plot most lines in cond. 1, then reset to cond. 8 in the middle of the plot. I'm at a complete loss. When using the Cutting Plot Controller I can send any condition to the plotter and it reads it, only to change itself once the plot starts. I've re-installed drivers - all are up to date. Also, reflashed the firmware and it is up to date. Hopefully someone has run into this issue and can offer some assitance, or I just bought a very expensive vinyl roll rack. I'm using AutoCAD to plot vinyl templates. Every thing is going through the Cutting Plotter Controller. This has always worked perfectly for us using our old FC-7000, unfortunately it gave up the ghost. I can set the condition in the controller and the plotter reads it. Only changes as soon as the plot starts. It doesn't seam to be any issue with the controller, but the plotter itself. Your gutsy messing with the firm ware. Too many times people have updated the firm ware, and shut down the whole cutter and it is locked up. Seen it too many times on here. I personally have the FC-7000-MK2-75 and I know it works great from there Graphtec Cutting Plotter, as that is what I use. Wouldn't have a clue on the FC 8600, why it would not. Not sure about your cutting software. You do have the cutter command on HP-GL correct? Are you pressing the Condition key number and the Enter button at the same time? Instructions say you are supposed to. Page 71 I never use those condition buttons. 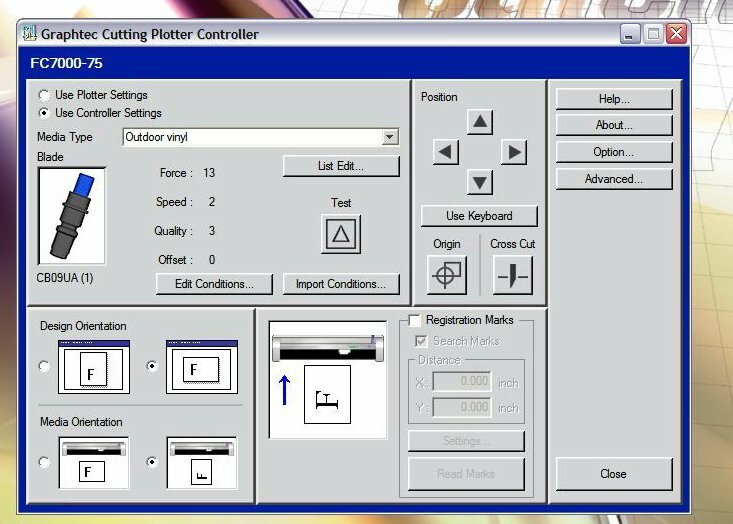 I run every thing on Condition 9 Graphtec cutting controller. Here you can see the controller does set the condition on the cutter to cond 4. Once it starts cutting it changes to cond. 1 for the first few lines then changes to 3 then 5 then 8. Yes, when changing on the cutter I will. But in the video I have the controller and cutter set to program priority, so it should all be handled via the controller. I'll try condition 9 now see if there is any difference. My cutter is always has been ran on Condition 9. That is the condition that the Graphtec Cutting Plotter sets up. You can adjust your speed and force, just using edit. This may sound stupid, but I can't figure out how to set it to condition 9. That controller looks a bit different than mine on my FC7000. Mine at the top gives you a choice of running from the vinyl cutter or from the controller. I run from my controller. That is how I have Condition 9. It kinda looked like you have to import conditions from the vinyl cutter to the controller. There is a user manual for your cutting controller. Skeeter - That is how I have been trying to do it. It's all being sent via the controller not the cutter. But either way I do it, the conditions change while cutting. As of right now I created a work around by setting all the conditions to the same specs. Now as it cuts and goes from condition to condition it doesn't make a difference. Well, that is a good way to do it. I am just wondering, those are all preset conditions for different medias already set up. Each button is a preset condition factory set. . If your choosing a certain media, like you had, that the plotter brain and cutting controller knows that is not the correct setting. So changes it back . And then maybe I don't know anything. LOL I tried changing mine before, and it was not the correct setting for the media, and it would not let me do it. I also wonder if the cutting controller for the FC7000 would work for the FC8600. I think all of the FC drivers are the same. as well as some of the CE cutters. You just choose which one, at set up, so you have the correct cutting width and steps per resolution.